2016: Crest of the Royal Family Mitanum (with Izumo Aya) Based on a classic manga, with music by Sylvester Levay, the composer of "Elisabeth"
2015: Gospella's music video, "Dream Girl"
Yumesaki Nene is her older sister. 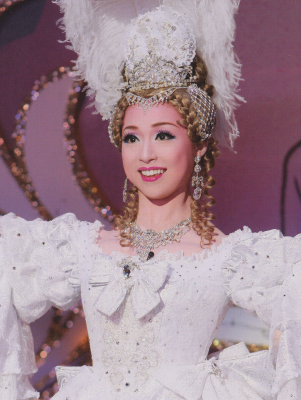 Previously a model (under her real name) and an actress (under the name Akasaki Reina) before joining Takarazuka. Graduated fourth in her class. Created by caithion. Last Modification: Sunday 10 of March, 2019 15:42:06 PDT by caithion.